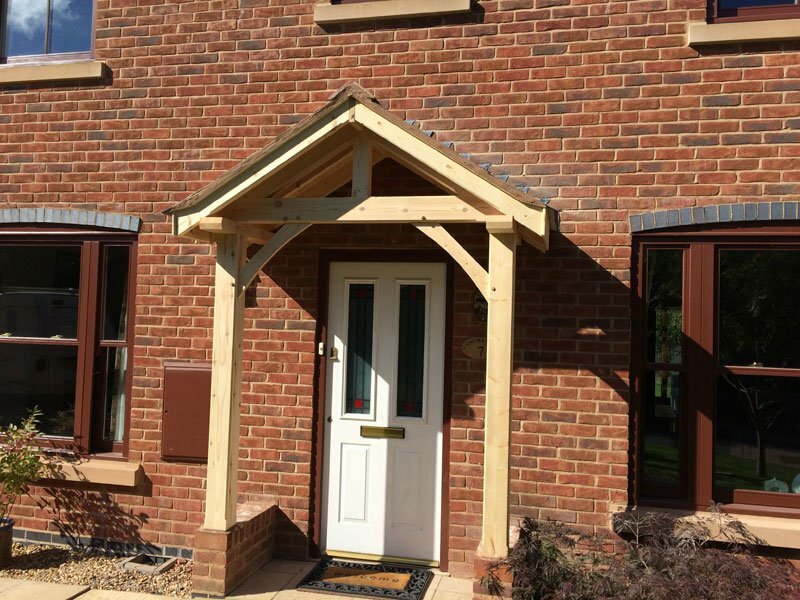 Beautiful handmade Redwood porches available in two pre-set sizes, 2100mm or 2400mm high. 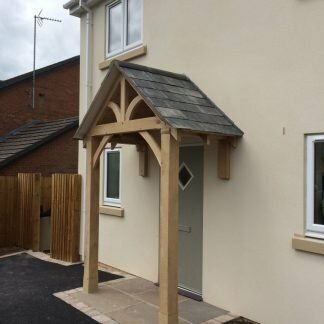 The porch is supplied ready to be painted. 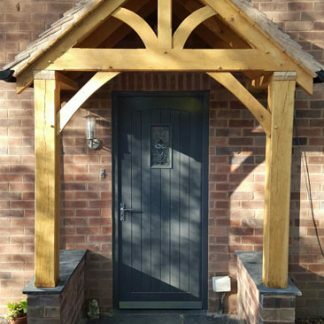 Staddle stones and roof boards are available separately. 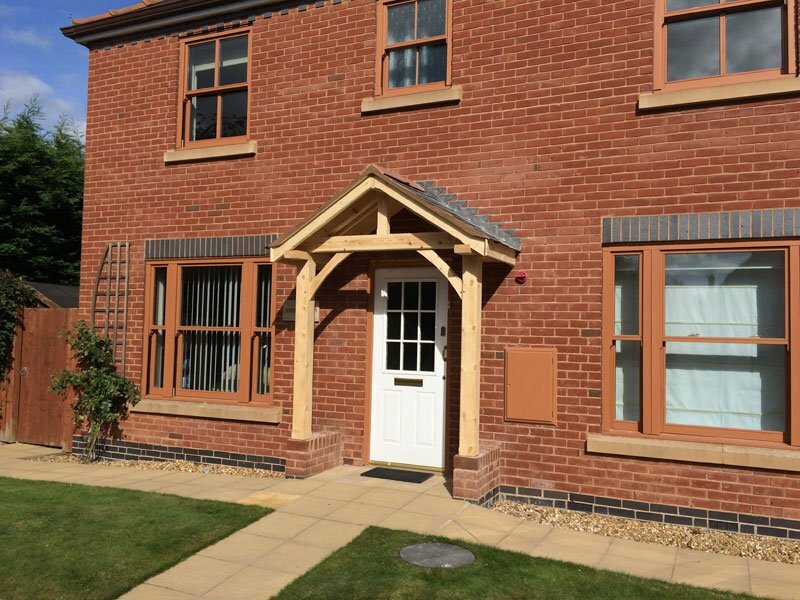 This design is also available in Oak. 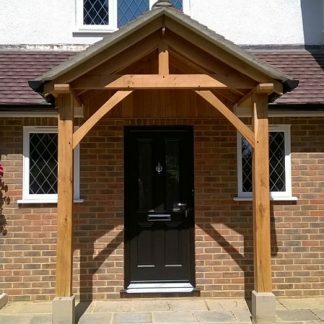 Our Redwood Porches are normally held in stock. 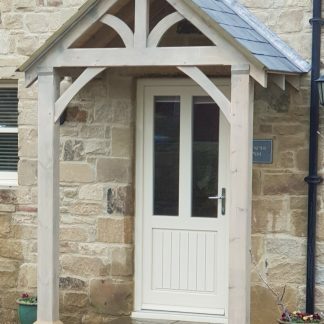 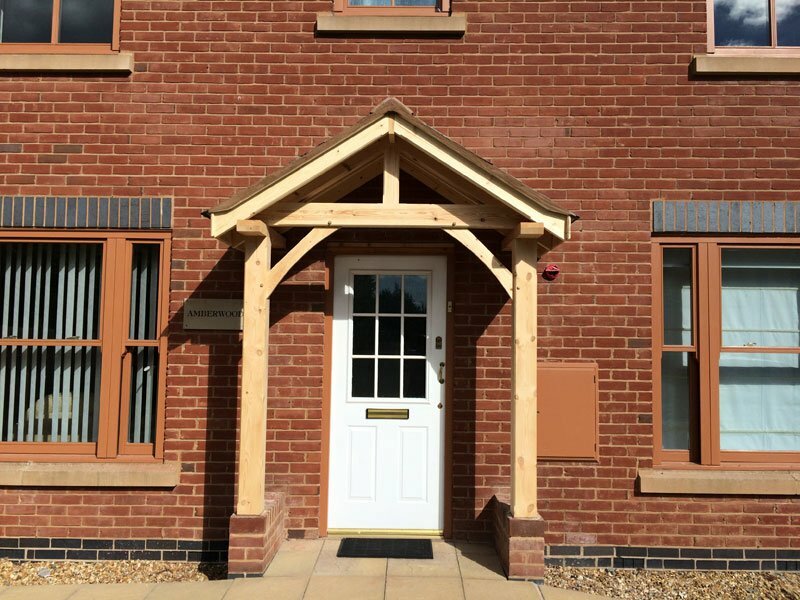 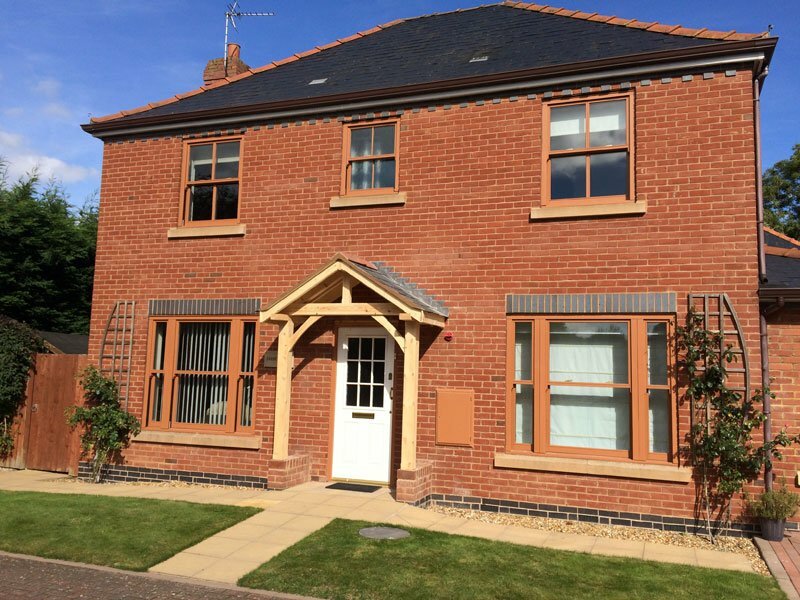 Get free delivery staddle stones and boards when ordered with this porch. 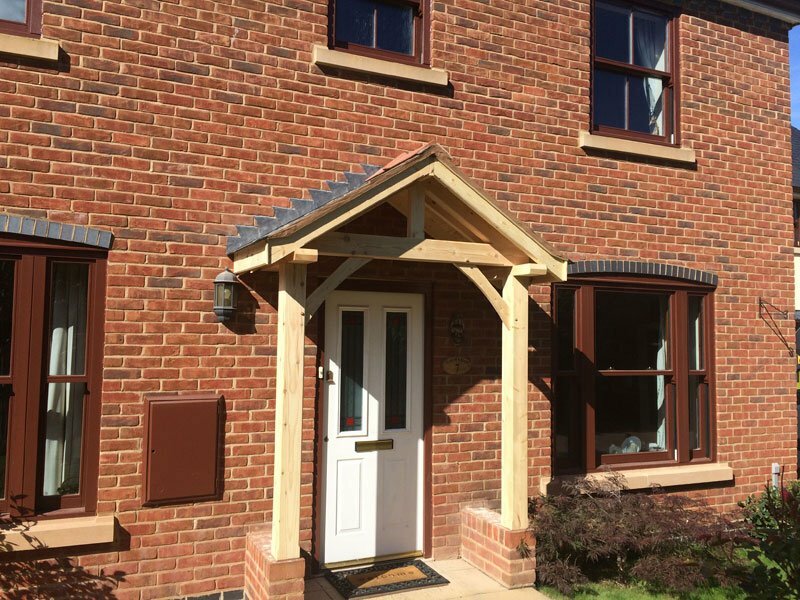 The Grosvenor and the Westminster designs are now available in a Premium Redwood timber that is a lot more stable than Oak so is well suited to painting or staining. 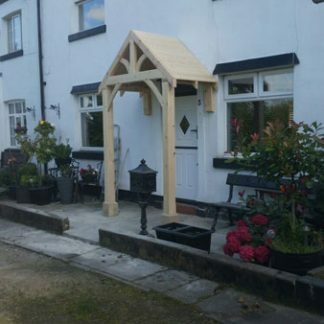 It is hand built from 140mm x 140mm front post. 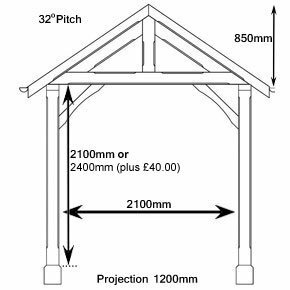 The main front truss is made from 145mm x 70mm and the rafters are cut from 95mm x 45mm. 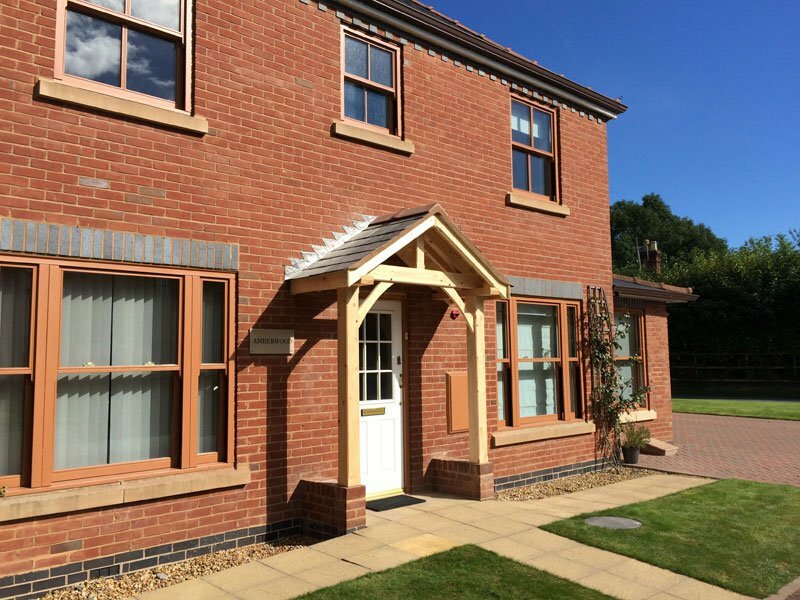 All the timber is FSC certified. 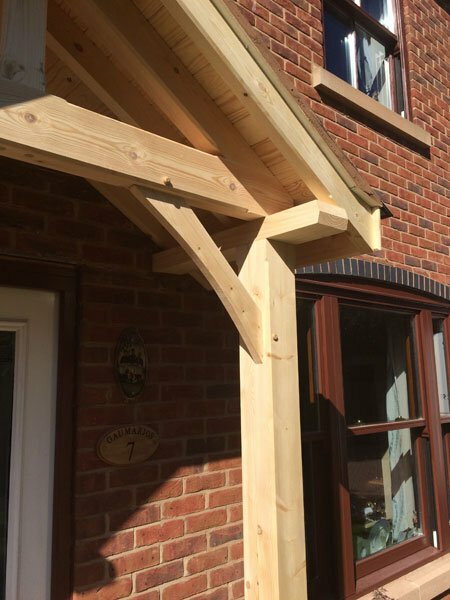 The standard sizes are kept in stock and bespoke orders are usually dispatched within 5-10 working days.